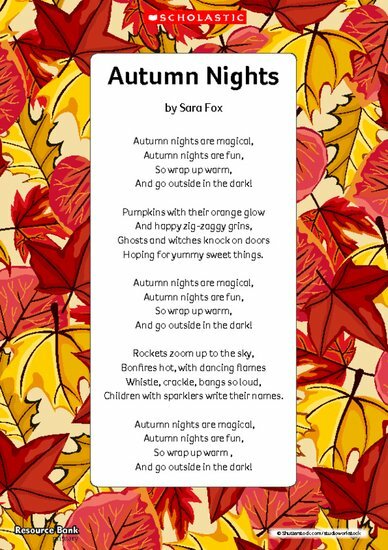 Autumn nights can be an exciting and magical time for young children. So have lots of fun harnessing those ‘Ooohs’ and ‘Ahhhs’ in your Early Years setting. Use this poem to celebrate the arrival of autumn in your setting. You can also find supporting activities here .